Here is a titan beetle, keep your fingers clear! Last weekend, I played in my last game in my first season of footy. The team that I play for are called the titans, so today, I though that I would write about the titan beetle, one of my favourite insects. They are the second largest beetle in the world, only behind the hercules beetle. Some have been found to up to 16.7 cm (6.5 inches) in length, however they may grow even bigger. They have very powerful jaws that can bite through a pencil. However, adult titan beetles never actually eat, they just find other adults to mate with before dying. Despite their size, they can still fly and are attracted to lights. Not much is known about their babies, which are called larvae, except that they live inside trees, eating the wood. Titan beetles are found in the rainforests of South America. 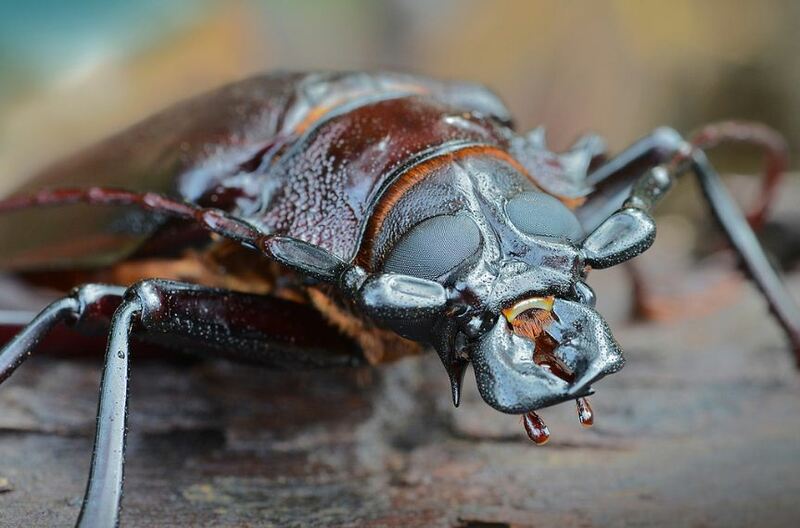 Are there any other interesting facts that you would like to share about titan beetles?